You think UGG only sells sheepskin boots for the cold weather? Think again! The brand has upped its offering this season by launching two fuzzy sandal styles to its new collection. 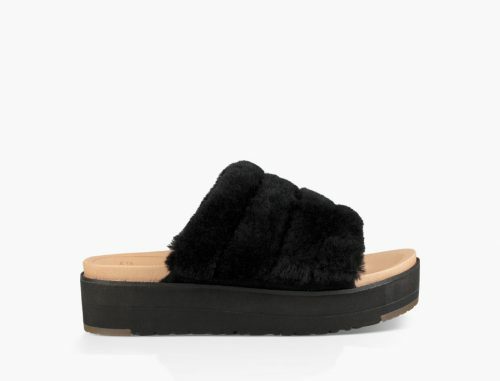 Aptly titled “Fluff Yeah,” the statement-making sandals are also constructed from UGG’s trademark soft sheepskin. Available in four shades, a coral hue dubbed “Lantana,” ”Seashell Pink,” “Charcoal” grey and “Black,” the sandals feature an oversized midfoot strap that’s completely covered in that snug, fluffy fabric. 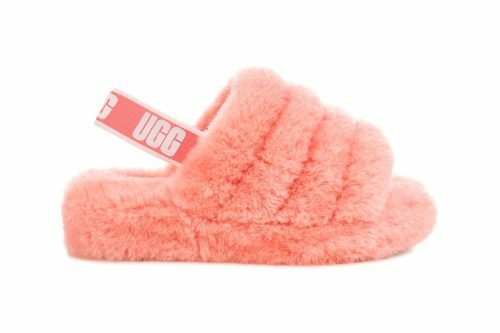 You can shop UGG’s Fluff Yeah on their web store, and get them delivered to our UK warehouse for free, then we will ship them back to you at only $5/lb!